In most building projects, home owners tend to overlook the importance of lighting and how it will affect the spaces created. 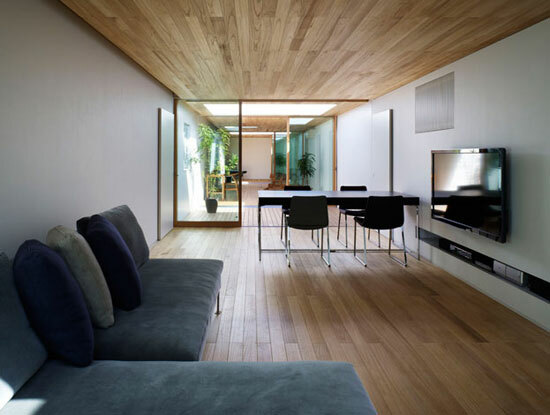 Whether you’re planning an extension or adapting the existing interior spaces, any changes to a room shape and size will play a part in altering the effect of natural and artificial lighting. Even simple changes such as a new choice of furnishings, wall colours or floors will have some kind of impact on the final illumination. So if you plan to make changes to your home, here’s our run down of the common lighting mistakes to avoid. This very common mistake can have a massive impact on not only the final lighting, but the finished look and it all comes down to planning ahead. Installing a tiny pendant lamp or a grand chandelier over a modestly sized dining table simply isn’t going to work. The key is to understand proportions. A tiny light will barely illuminate the table whilst a grand chandelier will just dominate the lighting space and make the table and chairs feel small. Another example is the wrong choice of lighting. Large rooms with minimal natural light will need to be well lit for longer periods so choosing a lighting solution that not only brings the desired level of lighting to the room is important, whilst ensuring you do not burn energy at an alarming rate. Placing different lighting options in a room is a good way to create different moods so think about ways to add lamps, down-lights, or wall lights as well as standard ceiling fixtures to section off areas of the room for different uses. Recessed lights have been a very popular lighting option for many years now but many home owners still fall into the trap of installing them inappropriately. In most cases, homeowners fit as many as they can into the ceiling believing this will give the correct level of illumination and that’s job done. This is completely false as down-lights do not illuminate walls as the light produced is a focused narrow beam, thus leading to a brightly lit floor space with dark walls. Approximately half of the energy produced by down-lights is wasted, so they will not do the job completely in isolation. For a room to be fully illuminated, light needs to reflect off the walls so down-lights alone will not achieve this. Only use down-lights where they work best and add additional lighting options such as wall lights, floor lamps and pendants where needed to compliment them when more light is required. Sometimes lights aren’t the answer when daylight provides brightness and warmth, at zero cost! If you have the means, installing windows, roof lights or Velux windows in the ceiling is the perfect way to bring natural light into a room and prevent it from becoming a dark and dingy space during the daytime, especially in winter. This will not only save you the cost of installing additional ceiling lights but will save you energy costs as well as make the room feel bright and airy. Good lighting is not only about creating the right mood for living, sometimes we need the right lighting for work or study. The Office for National Statistics (ONS) believes there are some 5 million of us working from home in the UK, so that’s a lot of home offices! With most of us spending 35 hours or more a week working, that’s a lot of time to spend in one room, so ensuring the light is right for your needs is crucial. Most homeworkers spend a great deal of time using a PC, so the lighting in the room needs to ensure eye strain is minimised by installing lights that do not flicker or offer inappropriate levels of light to make working comfortable. 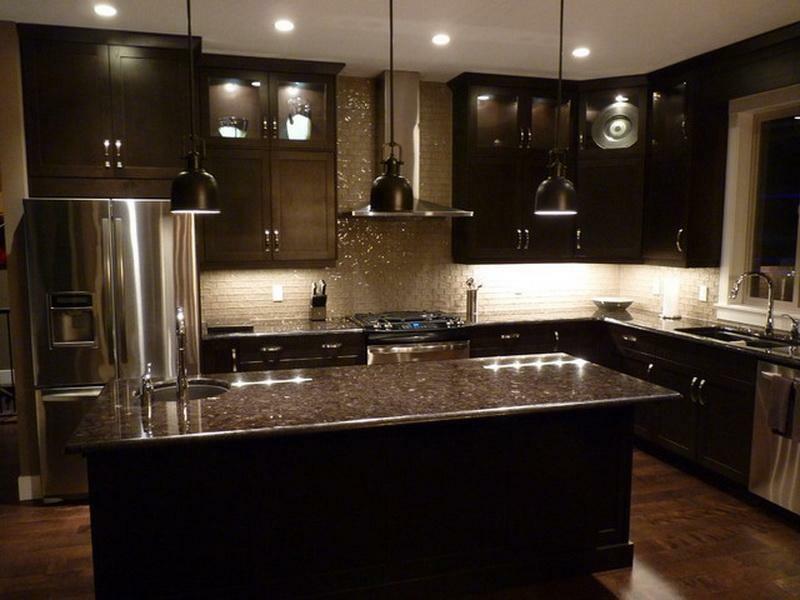 A good blend of natural and artificial lighting is key to a successful solution. Most people do not give enough consideration to lighting areas that are naturally dark such as small utility rooms, closets, cupboards and loft spaces. A common mistake is to fit downlights above cupboards and storage areas which only creates shadows and in fact, makes the area seem darker rather than light. 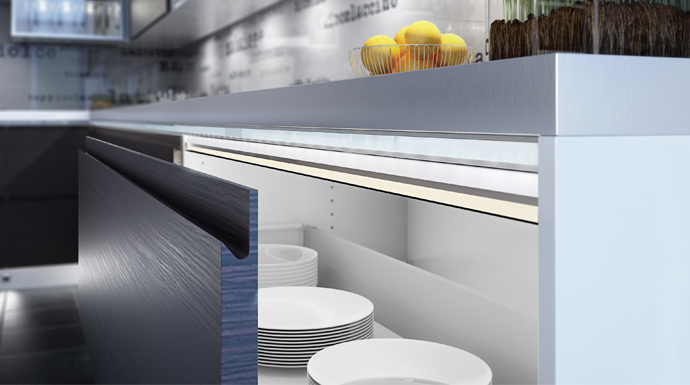 If this sounds familiar, think about installing LED strips, lighting bars or cabinet lights to help add convenience lighting to places where shadows are ever present. Many light bulbs now come with different colour temperature options, meaning the light they give off can be extremely bright white or a warm yellow. Choosing the wrong option can dramatically change how a room feels and make it either too bright and glarey, or inappropriately too dark. The type of room you are lighting as well as the wall colours and the room size all play a part in the decision making process. There’s no right or wrong answer to this problem so the best way to achieve the correct result is to think about how bright you want the room to be and which types of bulbs will give you the end result you want. Sometimes we want to control the amount of light the room has to change the mood and the easiest solution to this is to install dimmers. 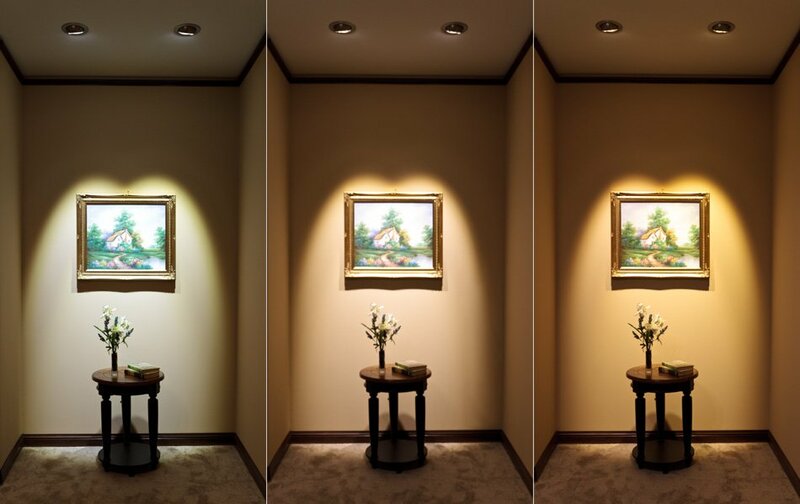 Many homeowners forget to install them and this means the room has to be fully lit or nothing at all, when a dimmer can solve all your problems by giving you the option of choosing how you want the room lit, whenever you like.